The 3194 error happens on occasions when you are trying to downgrade iOS 4 to 3.1.3 and is caused by your PC’s failure to restore an older version of the iOS program in your system. This error can happen to any PC model or type and can be traced to problems in iTunes and the files that it utilizes for restoring your iPod or iPhone. What causes The 3194 Error? The likely cause of the 3194 Error is your use of a firmware that is not signed off by Apple, making it impossible for you to downgrade or upgrade your iPhone. This can be fixed by using an Apple signed firmware however it is not applicable to all cases. This tutorial will teach you the various ways on how to rectify this type of error. Below are four approaches that you can use to address the 3194 error on your PC. 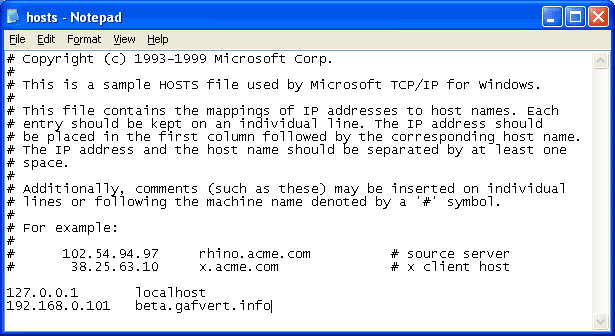 Next go to the “hosts” file in notepad. You can do this by right clicking on the file then choose Open With ->Notepad. Next type the command 74.208.10.249 gs.apple.com. at the end of the document. After you have successfully plugged the USB cable, you will see the message ““Connect To iTunes” on your screen. You will notice that your iPhone or iPod touch will be seen in recovery mode. Simultaneously press the Shift (for Windows users) or Alt key (for Mac users) while you click on the Restore tab. The 3194 is also caused by the “registry” of your computer. The registry plays a highly important role in your system as it is where you can find all the settings and files that Windows uses for its operations. Whenever Windows will attempt to load an application, it would access this sector of your computer to obtain all the necessary processing information it needs for such an operation. However the structural design of the registry suffers from a large number of defects making it extremely vulnerable to breakdowns and failures. When the 3194 error occurs, your computer’s speed will substantially slow down and programs will not be loaded correctly, resulting in irritating errors such as the 3194 error. To rectify issues in your registry, you need to use a registry cleaner, which is an application that is designed to seek and repair errors in this area of your system.